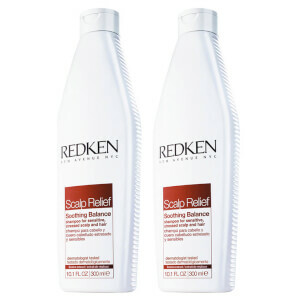 Gently soothe and calm your sensitive and stressed scalp with this Redken Soothing Balance Shampoo. 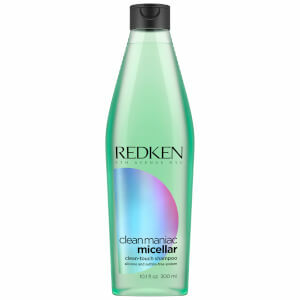 This relief shampoo will gently cleanse while removing impurities from your scalp and hair. The Redken Scalp Relief Soothing Balance Shampoo contains eucalyptus and liquorice extracts to instantly help relieve scalp tension and provide a lasting soothing effect. Formulated with Redken’s exclusive Calming Suspension technology, it will de-stress while moisturising, refreshing and rebalancing your scalp. I started using this shampoo on the advice of my hairdresser when a ton of my hair fell out, now I would not use anything else. It is gentle, leaves hair perfectly clean & soft with a shine, smells divine & a little goes a long way. Highly recommend. 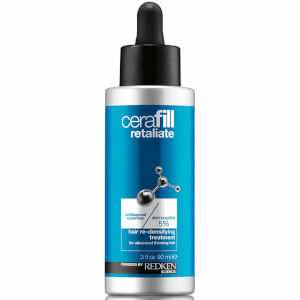 I genuinely can’t believe how many stars this product has ...... I’ve always been a lover of redken and I’ve always used their conditioner so I bought this thinking it would relieve some pain and reduce the dryness on my scalp, when in fact it’s made it 10 x worse. I used a a well known super market product and changed to this and have been using it for a month. I can honestly say I’ve never struggled so much with my scalp since. 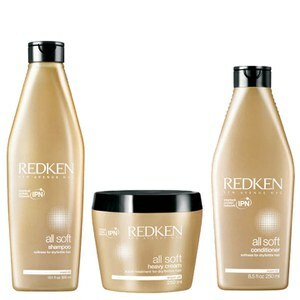 I have a dry scalp and usually use the Redken for scalp. Accidentally purchased this but thought I’d try it since it is suppose to be balancing. Within a day may hair is greasy again so it’s not balancing otherwise my hair wouldn’t be greasy after one wash. Disappointing. My scalp was insanely dry and felt tight and burning-like every time after blow drying hair. Tried many products that dermatologist prescribe but nothing helped. This shampoo is a saviour! After just one use, scalp feels soo relieved... no tighting or burning anymore. Don't know what the problem was, I'm just glad it's gone and don't have to waste money on expensive products that doesn't work. This shampoo appears to be working on the itchiness but over softens my fine hair, leaving it flat. The smell is very clinical and not pleasant. This shampoo is great for a dry, itchy scalp. Smells lovely and fresh. My scalp improved in a few data of using it.